The latest Strike Back! 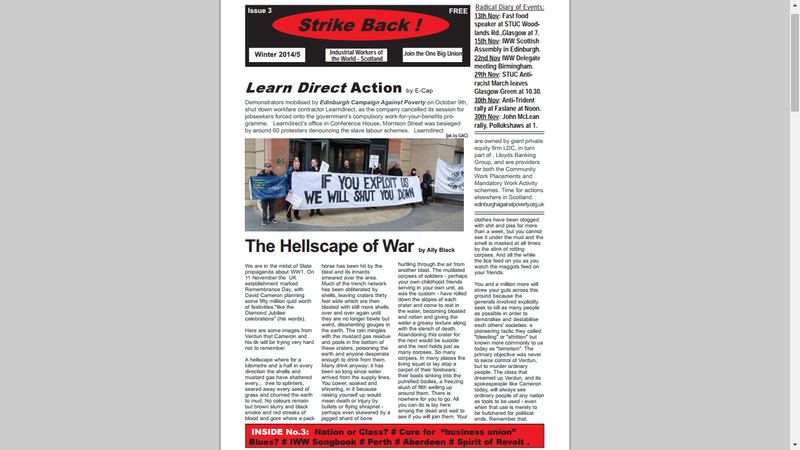 includes articles on anti-militarism, perspectives on the recent Scottish Independence referendum, business unions, information on the Spirit of Revolt archive project and Wobbly songs. Download Strike Back! Issue 3 here. This entry was posted in Strike Back!. Bookmark the permalink.